This was from Brett, a client of mine. His inner demons were crushing him. He’d lost before he started. You can see he had almost no chance of playing to his potential or enjoying the game. He’s not alone. 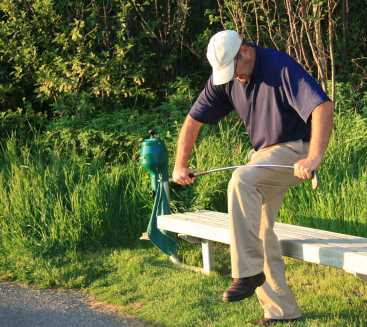 How many of these are ruining your game? What demons do you try and wrestle into submission? How successful have your inner battles been? If you’re like many golfers I work with you continue to leave the golf course frustrated and perhaps even wonder if it’s worth playing the game at all. The sad truth is it will stay like this unless you make some changes in how you use your mind. It’s kind of like being trapped in a room and the building is on fire. There are two doors and a window but there are flames on the other side of the window and smoke is billowing under the cracks of the doors. You desperately need to get out but you can’t find a way. One thing’s for sure, no one wants to be stuck in a burning building with no way out. Sadly, that’s exactly what’s happening to most golfers every round they play. They’re suffocating on the mental fumes of their own uncontrollable mind. Remember, what you resist persists. 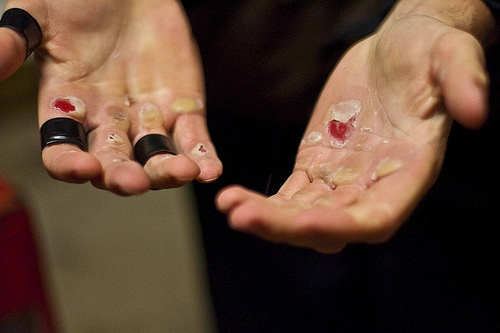 The more you struggle the worse things get. You see, I have a background in the Psychology of Human Excellence. 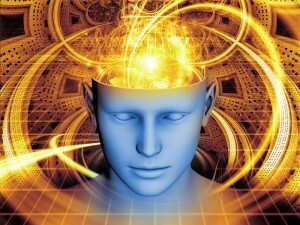 I’m an NLP Trainer with Ericksonian Hypnosis training and a host of other skillsets. My life, before golf, was focused on helping others achieve real, dramatic improvements in mental and physical performance. Then, just like you, I got infected with the golf bug and was obsessed with playing as well as I could. In a minute you’ll find out that I taught myself how to golf, without taking lessons, but wanted more than just a good swing. I wanted to win and play well all the time! But, like you, I experienced frustration at not being able to duplicate my great rounds and play as well in tournaments and competitive situations. That was until I discovered something, almost by accident, that changed my game and the games (now numbering in the thousands) of my private clients and students from all over the world. It is so powerful and effective at dissolving virtually every single mental issue a golfer faces. The endless issues that prevent you from playing the way you are capable of. While teaching myself how to golf through applying my knowledge of advanced peak performance strategies and accelerated learning techniques I got down to a 3 handicap, without taking lessons. Not bad, huh. Other golfers began hearing about my results and begged me to work with them. I said “I’m not a golf teacher or a pro.” That didn’t stop them. They just wanted results. I told them again, “I’m not a golf instructor or a sports psychologist.” They just smiled, ignored my comments and conitnued to pursue me. One client said it best, “you may not have a Phd but you clearly have a masters in results and I want the results you’re getting!” A few of them admiringly nicknamed me the Golf Whisperer. That name stuck and became my brand. 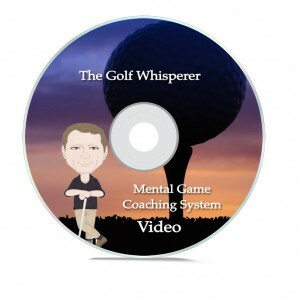 The Golf Whisperer’s material is the best mental game instructional training I have ever seen in over 30 years as a golf professional at the highest level and I am personal friends with several of the well known mental game gurus on the PGA Tour. & lower scores have in common? Did you know that Viagra was an accident? The Pfizer company was working on a drug for a completely different purpose and were doing clinical trials. Then from participant feedback they found a peculiar side effect: men were staying erect for hours! This had nothing to do with what they were developing the drug for. We worked with visualization techniques, cool mental imagery exercises and some insanely potent mental drills. Yet my focus when working with players was just to improve their game and make them learn it faster. And then something incredible happened. The game changing event slapped me in the face! I don’t know why I didn’t see it earlier. The “AHA” moment struck me when dozens of students began sending feedback and testimonials on how calm and confident they were while playing the game. They told me they stopped feeling nervous over shots. Their focus improved. A laundry list of mental game issues as long as your arm were melting away, one after another. I’m going to show you how this side effect has become the biggest breakthrough in game improvement in the past 50 years. It will save you more strokes than a big headed driver or a new set of irons EVER will! Imagine having a simple system, a method so potent at supercharging your mind it’s like taking a magic pill that instantly cures EVERY conceivable inner game problem you experience??? This is exactly what the Golf Whisperer method does. It will take your mind places you’ve never been on the golf course, I guarantee it. Are you ready to enter a whole new world in golf? 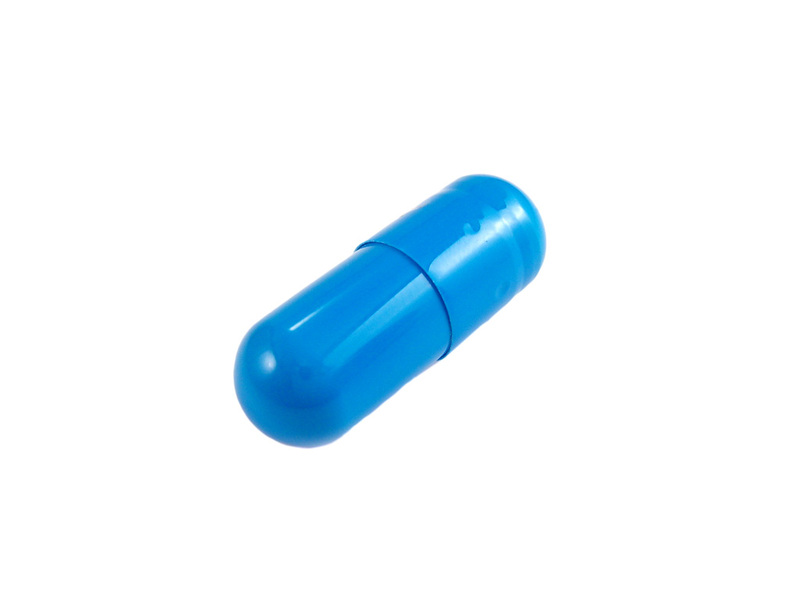 Do you want the red pill or the blue one? 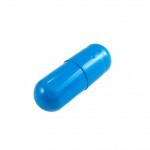 Yes, just like Morpheus in the Matrix he asks you to choose a pill: the red one or the blue one. The red pill is what you’re already taking, by default. Not doing anything IS taking the red pill. It’s the toughest pill to swallow and easy to choke on yet golfers will mindlessly continue to take it. Your experiences will continue to stay the same, game after game after game. Play worse in compeition – it’s easy to play well with no-one watching or nothing on the line but how well do you play when competing? Lack of focus – a scattered mind that can’t focus will never allow you to shoot your lowest scores. Mentally giving up when things aren’t going good – this is a killer of ever being a great player. And this is just a short list! It’s time to take control of your mind and your game and play to the level you KNOW you are capable of, isn’t it? Do you think it’s an accident that when Tiger Woods was at his peak years ago he had the most dominant mind the game has ever seen? His mental toughness and focus were almost legendary. I have yet to see any player even close to his level of mental control, have you? This wasn’t by accident, fluke, luck or chance. It was by design. Hypnosis training and advanced mental strategies were used throughout his early years. 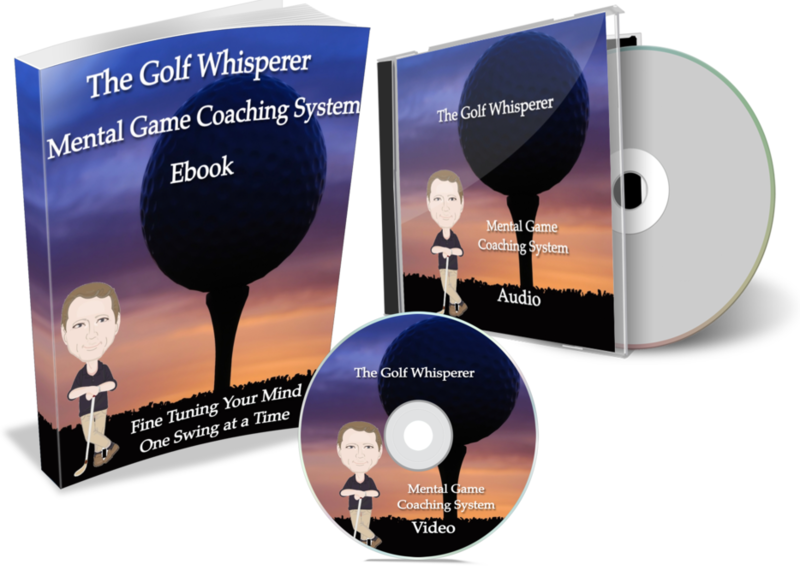 I modelled these strategies, built on them and created an entirely new system that has taken things to a new level never before seen in golf. Bold statement? Sure. Can I prove it? Absolutely. Better yet I’ll let my customers do it. After all, they’re the reason this method exists. “I was in a competitive tournament and it was pouring rain. Usually I’d be making excuses and expect to play poorly but I decided to mentally commit to playing the best I could. I had a poor start, three putting the first two greens. Then racked up five birdies during the round. Sure I made a couple of mistakes but it was one of the most mentally solid rounds of golf I’ve ever played. I was four under my handicap, bringing my playing handicap down to 4. I won the competition by a mile! 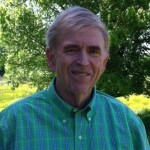 “I am making real progress towards unconscious golf. The amount of times I burst out laughing at a great shot just by applying the principles you taught continues to surprise me….because it works! I’m gaining an ability to trust my swing using your brilliant way to pick out a target. “ see” the shot and vizualise it by picturing it in a place just between my eyes in my forehead (sounds crazy! )-but it is the first time I have understood just HOW to vizualise “physically” rather than intellectually. Your incredibley practical training shows the correct way to focus and de-stress on the course. Great program. Hey, I don’t like to be the bearer of bad news but facing reality is the first step toward real change. Are you ready for more than just a “quick tip” or short term improvement? Do you want the keys to the Ferrari of your mind and your game so shooting low scores becomes a habit, not a just pipe dream? There’s no such thing as a perfect swing. Yet this underlying illusion that there is one has people pounding balls ’til their hands bleed, reading swing tips in golf magazines, watching hundreds of golf swing videos, jumping on the latest golf trend or training aid in search of something that doesn’t exist. I’m not going to give you the next hippest tip or gimmick or trendy fad in golf. What I’m giving you is total transformation of your game from the inside out. In a way that changes your entire game REGARDLESS of how you hit the ball or what swing philosophy you have. If I came to you and said “my car is running like crap, what should I do?” you wouldn’t recommend I go get a new paint job, would you?? Of course, not! You’d recommend I get a tune up or do something to the engine, right?! So why do people believe they can just work on their swing for endless hours, weeks, months and even years and ignore the area that needs to most attention and fine tuning: your mind! As a 10+ handicap golfer my whole life, my handicap has now dropped to single digits. In the last two weeks alone I’ve shot 74 & 76 at my home course…On one of the 9 hole sides I shot 1 under. That’s crazy good for me! You helped me realize that I’m a really good golfer. I now expect greatness. Does it always happen? Of course not, but I’m loving the journey of getting better more than ever before. Oh, I “was” a 10 handicap and now my index is 6.7! It doesn’t matter if you have a so called “perfect swing” if you can’t pull the trigger when it matters most. It is meaningless to have a silky putting stroke that can’t hold up under pressure and when it feels like the watchful eyes of your competitors are burning a whole in your brain. If I came to you and said “my car is running like crap, what should I do?” you wouldn’t recommend I go get a new paint job, would you?? Of course, not! Even if you had no clue about cars you’d suggest I get a tune up or do something to the engine, right?! So why do people believe they can just work on their swing for endless hours, weeks, months and even years and ignore the area that needs to most attention and fine tuning: their mind! The engine of the swing was, is and always will be a mind/body connection. 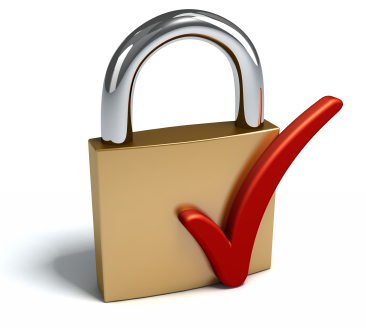 Do you know how to set your personal rhythm to unlock consistency? Do you know how to channel your nerves in seconds? Do you understand how to instantly focus your mind? Do you have a natural mental toughness? Do you have a “winner’s mindset” and play wiith this attitude? Have you ever truly been in “the zone” and do you know how to get back there? Your game will never be the same again. Your friends or competitors won’t be able to figure out why and how you’re playing so consistently. They won’t see anything in your swing and will wonder what you’ve been working on that has you playing so incredibley well. It’s a very cool feeling! It’s kind of like having a covert, insider’s knowledge that unlocks the secrets of the inner game so effortlessly it’s astonishing. You’ll wish you knew this stuff years ago! It’s time to grab the keys to the Ferrari of your mind and use the most effective mental game strategies in golf. Get ready to feel a brand new thrill while seeing the look on your playing partners’ faces as they watch in astonishment as you blow right past them in the growth of your game. And of course they’ll be buying the beers a lot more often than you will! The fact is people learn in different ways. Some prefer watching in order to learn, some like to read and others want to “hear” what’s going on. So it makes sense to get training in ALL 3 modalities, wouldn’t you agree?! My countless students said that’s one thing they really love about the coaching, it’s good for everyone and leaves no-one out. Simple to use strategies to unlock your imagination to hit those “trouble” shots with ease and amaze your golfing partners! Powerful Visualization – Master the art of seeing your shots in advance. This is critical to ALL successful shot making and scoring. The End of Distractions – Techniques & drills that let you ignore anything around you. You only notice the moment you’re in: the shot itself! Channeling your attention – Not knowing this is costing you strokes right now. You are leaving strokes on the golf course each and every round without it. The Power of Beliefs! – This is a real breakthrough in understanding how beliefs are formed and exactly how to design new ones that support your greatest desires as a player. Master your imagination and experience the rush of playing carefree, fearless golf! The hidden vault of The Consistency Code – you’ll play with twice as good when you use both sides of your brain! 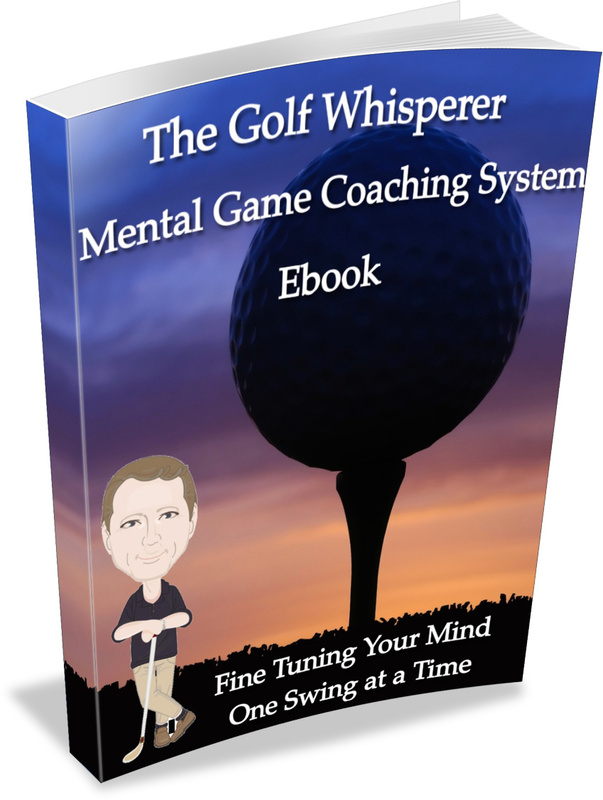 Specifically designed to reprogram your mind with the Mind Power Breakthrough principles and get you “conditioned” to shoot lower scores. You get 2 professionally recorded audio sessions that speak to your conscious AND subconscious mind to attain the true Whole Mind Golf experience in your game. 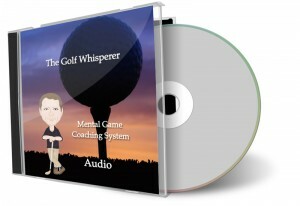 Awakening Your Golf Mind – Designed to tune your mind toward your own excellence and walks you into your own peak state. This audio coaches you into your own “flow” state in an effortless way: exactly how you’ll learn to play the game. Building a Winner’s Mindset – What does it mean to be a winner? What does winning mean to you? How can you play from a place that allows you to experience victory time after time? IN this session you’ll step into a true winner’s mindset that is the determining factor in all great rounds. Get your coaching anywhere you like! Life is mobile nowadays and sometimes you might want to get coaching while you’re on the road, travelling or even right on the golf course! 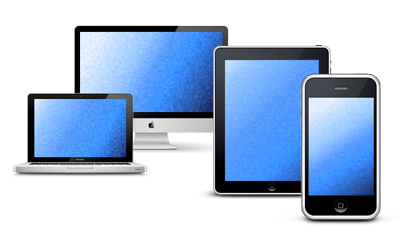 Just grab your favourite device and get some coaching! I understand I can request a complete, no hassle refund if I’m not totally satisfied and I have an unbelievably long time to decide…see below for details! Yes, I am ready to use my mind to its full potential and feel that wonderful sense of fulfillment and accomplishment playing my best golf!! I’ll be using the methods in my very next round of golf! Try my program out for a full 60 days. I personally guarantee that if you put my system to use you will drop strokes off your scores and hit the best shots you’ve ever hit in your life. I guarantee you won’t be that player that chokes under pressure, posts bad rounds in competition or mentally gives up when things get tough. If you do ask me for a refund I will promptly and quietly return every penny you paid.